At the beginning of the year I wrote about the importance of setting goals and having something positive to focus on. I have found this to be of the upmost importance in helping me to envision a life past abuse and it is one of the key things that has helped me not only reclaim back my life, but also to move forward with courage and successfully try new things. Focusing on self-improvement and progression was also a reoccurring topic in my conversations with other ‘survivor thrivers’(ladies attempting to achieve new heights in life-post abuse). Facing fear and learning new ways to deal with life long challenging issues is not easy, especially when you throw low self-esteem and confidence into the mix. But even in the midst of these issues it is wonderful to hear how these ladies continue to move forward undeterred, that this year has ignited a change in mind set and determination to pursue what seemed out of reach and impossible; it is contagious! If you are someone who has already wrote this year off as a non-starter, I want to encourage you not to give up just yet. I can only imagine for some of you reading this post that past chaotic experiences may be a factor in discouraging an distracting you from where you want to be, but do not lose heart- with your desire to better, time and support your circumstances and life will change. There is a saying that goes ‘it is not how you start but how you finish’- there is truth in this statement. You may not have started any of your goals thus far but you can choose to make this day your starting point to progress. Choose one thing from your list- it could be something you want to improve on or exploring a new hobby or course, write down the steps you believe you will need to do in order to achieve it. Is there someone who can support and encourage you on your journey to reaching it? If not, why not drop Daughter Arise an email and we will see how we can support you. Remember it still will be a great achievement to start one thing, for it is better than nothing. 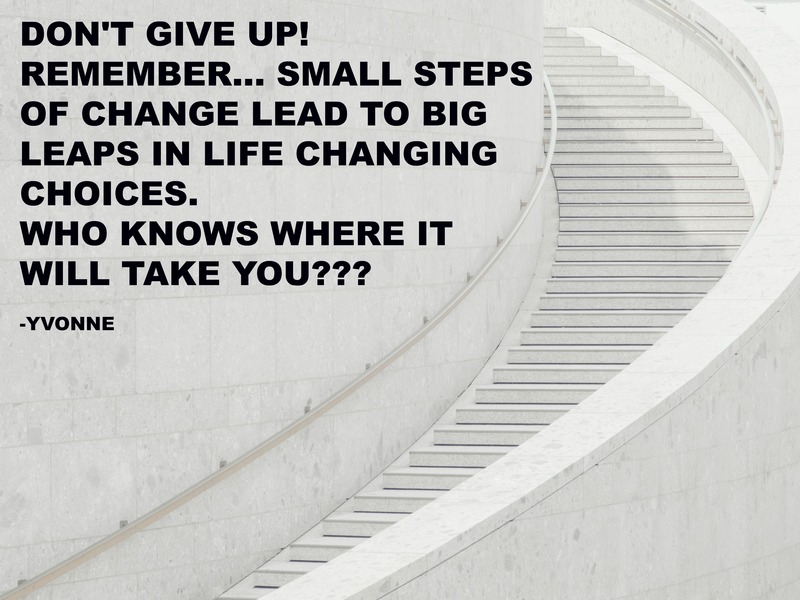 Small steps lead to bigger leaps and awesome achievements- you still have four months left of 2017, it is not too late. How you look at where you are currently now will be a determining factor in the gear of change in your life- is the glass half empty of half full? Something I want to share with you- it has taken many years for me to get to this level of self-discipline and determination to seek to fulfil my potential. Besides my relationship and faith in Jesus, getting to learn about myself was one of the most important steps I took as it opened my mind to believe I could be the woman I desired to be. My identity of self was deeply damaged by childhood sexual abuse but reclaiming my life and discovering my hopes and dreams has given me a light to follow out of a very dark tunnel. Making the right decisions can be hard because it usually involves stepping out of your comfort zone and exposing yourself to unfamiliar territory, but it will pay dividends in your future. Invest in yourself by believing in you; you will be surprised how far personal affirmation will take you. So far 2017 has been so positive for me, and wow what a year this is turning out to be! I have completed my leadership management training and passed the exam (my graduation is soon, yay! ), completed my event management level 3 diploma and gained a distinction, been selected as a speaker for Tedx, the top speaking and idea sharing platform in the world and shared my testimony on the streets of Brixton! Other amazing things are in the pipeline also. I am excited to see what opportunities open up. It has been hard for me in places- at times I lacked focus and was discouraged at times. But as I identify those areas of my life that hinder me both internally and externally I continue to deal with them. As I said in my January post ‘Focus 2017’ I do not have resolutions- my main aim each year is to grow and progress and as long as I am doing that then I am happy. 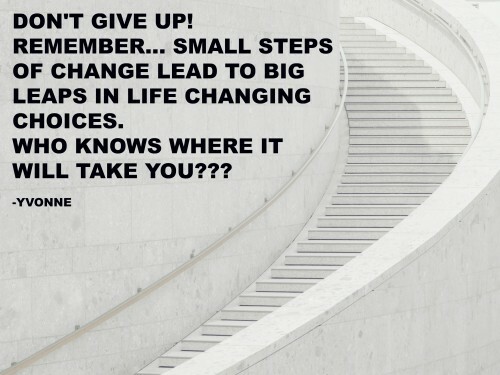 Remember it is the small steps of new beginnings that will lead to big leaps of life changing opportunities. So I encourage you to step out! You have nothing to lose.